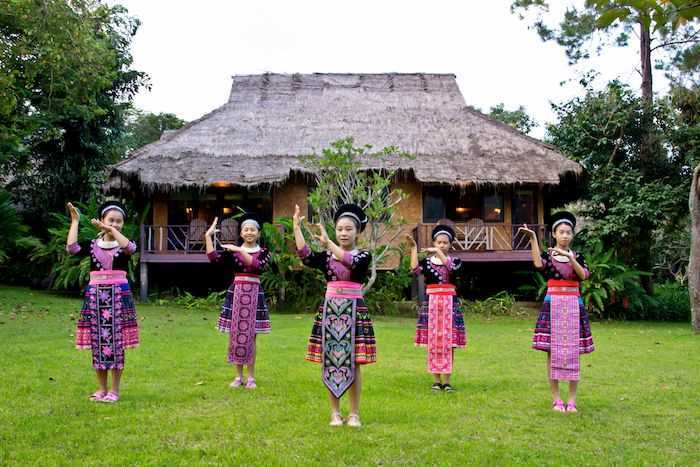 Cradled in a scenic valley of the Suthep-Pui mountain range, north-west of Chiangmai of northern Thailand, Hmong Hilltribe Lodge provides you a unique opportunity to experience traditional Hmong culture amidst striking natural beauty. 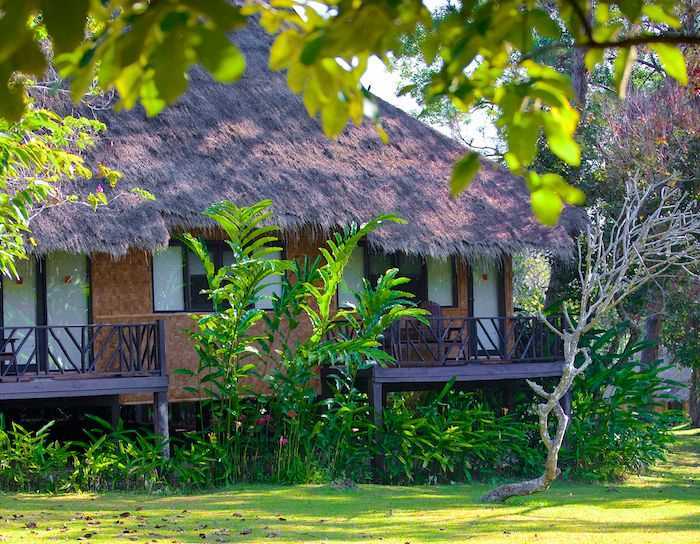 Conveniently located in the Mae Rim district, only an hour's drive from Chiang Mai, our jungle lodge combines simplicity and style to create an environment of rustic elegance and serenity. With an elevation of 2,700 feet above mean sea level, the weather at Hmong Hilltribe Lodge is pleasantly mild and cool all year round. 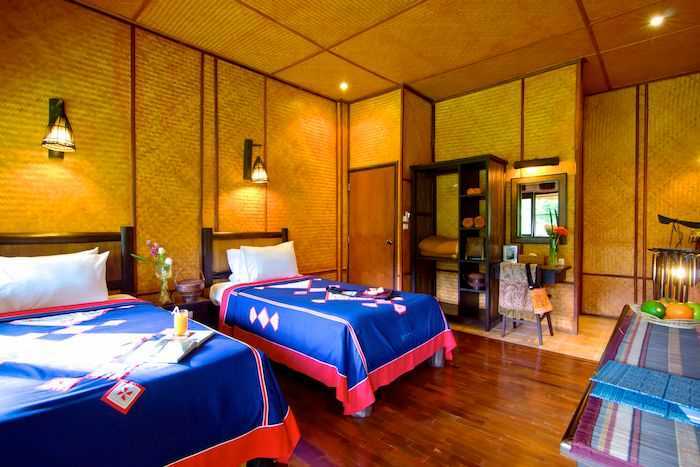 Indulge amongst the beauty of green nature in spacious and cosy room with fully furnished with wooden furniture. Seize a luxurious moment with Deluxe room exclusively designed to harmonize with nature surrounding. The king-size bed plus spacious living area lead you to the unforgettable stay. 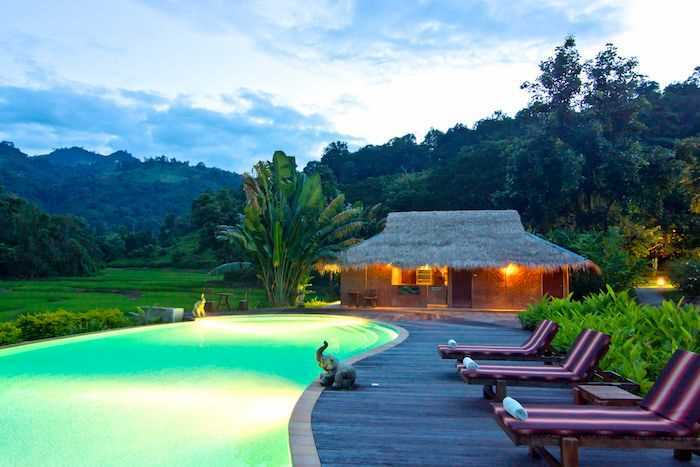 We went to the hill tribe lodge with four, not really knowing what to expect. We were informed it would be pretty basic compared to our previous accommodations and therefore somewhat apprehended to go. We were very pleasantly surprised. 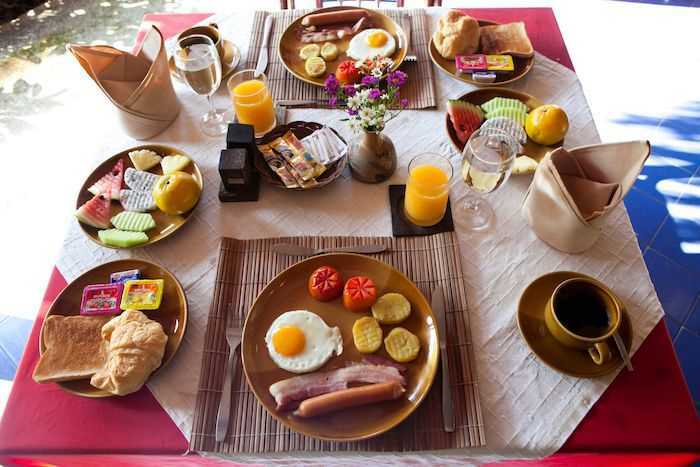 Thereception was very warm, service very good, the resort well kept and the rooms spacious and clean. The BBQ included was very generous and though we were close t being the only guests, no effort was spared. All in all, we had great stay for excellent value. Overall the hotel/resort was excellent with great staff. This hotel is adorable. The rooms are housed in stilted buildings holding 4 rooms each and a central sitting area with fire pit. Our room had a large balcony with 2 sitting chairs. The rooms are nice sized and good size bathroom. The only problem I would find with the room is that there is no a/c or even a fan. It was o.k. during the night when it cools down, but during the day it is quite hot. Also, bring you're mosquito repellent, the area gets lots of mosquitos, especially at night. They do provide you with 2 towelettes soaked with repellent, but I would bring more to spray especially around the door to the balcony.